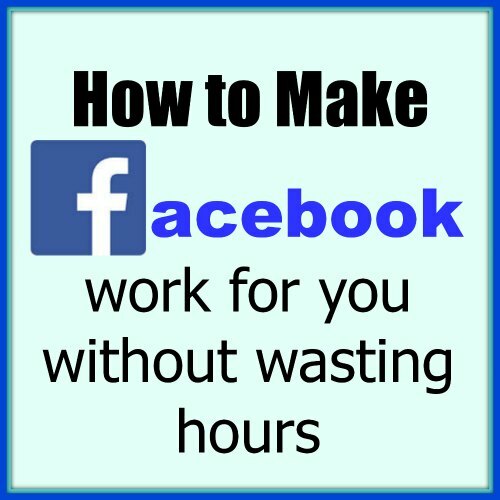 Do you spend hours and hours and hours on Facebook? Blog post written, press publish, it looks beautiful. Now what are you going to do? Why, head over to your social media to publicise your latest fabulous offering. 5 hours later, you’ve learnt that little Freddie has taken his first steps, one of your friends is in holiday in Hawaii (very jealous, pictures look amazing), you’ve visited 40 other pages and read 20 other articles, mostly on some obscure topic that really has nothing to do with your blog. Sound familiar? It’s the magic of social media working it’s charm. Except you’re the one falling for it instead of leading it. But you can get traffic from Facebook, my analytics tell me I do. But how do you use it to your best advantage? 1. Don’t sweat it, I know you WANT 5000 followers, but start small and and build up. It’s better to have 100 followers who actually care what you think and engage with you than 1000 who never look at you. 2. Limit your time. It’s so easy to get drawn in. Decide what you’re going to do, how much time you’re going to allow yourself to be there and stick to it. Use an alarm if you have to. 4. Random sharing is like shouting into the void (ok, once in a while you’ll hit gold but more likely than not you’ll just be ignored, or get an abusive reply.) Use the groups to find people to share. 5. Often people will have a ‘share day’ where they invite people to share. Sometimes the groups have an email that you can sign up to that tell you where you can share. 6. Have your own share day. This is super great if you can find a group who send out an email of where to share. You submit your share day, stating what you want to share, people pin their posts to your wall and you share them. Interesting stuff for your readers, people like you, you make friends. All good. 7. Don’t just share your articles. Share photos, videos and thoughts that your audience will like. And questions are great, you just have to work out how to get people to respond. Ask them about themselves. 9. Keep a track on your analytics. If you’re not getting traffic from Facebook, try a different strategy. 10. Track specific links. So, you’ve shared to 10 people, but which ones are actually drawing traffic.? 12. Hashtags. I’m not great at these, but if you prefix your post with for example #ontheblog, it automatically shows up on a hashtag page. I’m sure there are a heap of others. Right, now I’ve told you all how to do it, I’d better get on with myself!